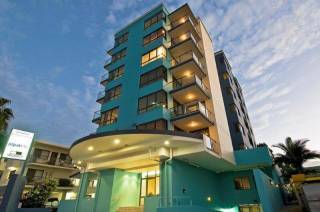 Luxury Waterfront Homestay Gold Coast! 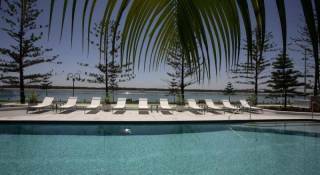 Absolute residential waterfront home located in Biggera Waters. Waterfront BBQ and Entertainment area. Separate laundry & washing machine. Personal under cover garage parking. 5 minutes to the Broadwater by boat. Alfresco set for outdoor dining. Australia Fair S/C, Australian Outback and Surfers Paradise. Fishing & crabbing from your own jetty. Broadwater & Offshore fishing can be arranged. a] Check-in-Time is from 2pm. b] Check-out-Time is by 10am. c] Bond is $1,000.00 [One Thousand Dollars] Refundable / credit card. d] Deposit is 20% of total accommodation cost, [Non-Refundable] is required to secure the booking Payment of said deposit constitutes your acceptance of these Terms and Conditions. The outstanding balance must be paid at lease 21 days prior to occupancy unless a later date has been agreed to in writing [e-mail] Failure to make completed payment by this date give the owner the right to cancel your booking and to re-let the property you booked to someone else. e] The owner reserve the right to refund your payment or find alternative accommodation for you if for any reason the property should not be available due to reasons unforseen at the time of taking your booking, while every effort is taken to ensure the property as booked is available for your stay and enjoyment. f] To maintain a high standard for our guests, we require certain conditions to be complied with, we appreciate most people will respect our property, however due to the minority who do not, the following conditions apply. g] Any damage to [ cover any additional costs incurred including but not limited to any breakage, damage to excess cleaning requirements and extra guests beyond those declared. Refund of bond is 48 hours after check- out, unless or other wise no damage claims by the owner, refunds will be immediate. h] Damages or breakage of the property and it’s contents during the tenant’s letting period is the tenant’s responsibility and costs of repairs and replacements will be charged to tenant’s bond held by the owner or the owner’s agents. i] The number of guests should not exceed the number on the booking form agree d in writing [e-mail] If there are more than the agreed number staying in the property, an additional $25 fee applied for each additional person per night. We reserve the right to deduct any additional fee from your bond or requests for immediate payment. 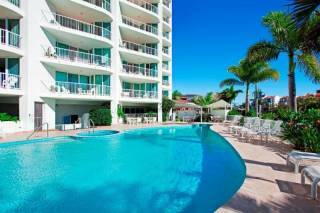 j] Cleaning/Linen Fee -- A mandatory $200.00 [Two Hundred Dollars] Cleaning/Linen Fee applied per stay. Our cleaners wash, clean and change all bed linen and towels for guests, in addition to cleaning and maintaining the premises to a high standard. The property should be left in a similar condition to entry and the level of cleaning required should be considered reasonable for the period of your stay. k] Garbage and any items not belonging to the property, [ You may leave behind sealed food items for removal by cleaner, if bins are full, place beside the bins. l] All crockery, cutlery, pots and any other kitchen items/utensils are to be washed and returned to their original place and not left in sink or dishwasher. 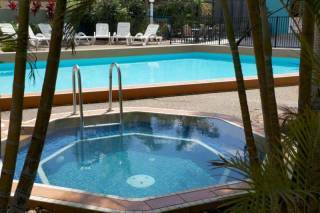 If cleaning is considered outside what is reasonable for the period of your stay. A $25 per hour applied for extra cleaning by cleaners. m] Parties and Functions are strictly prohibited as the property is located in a residential area. All noise should comply with Gold Coast City Council restrictions. n] Schoolies is not allowed due to the residential location of the property. o] Pets are not allowed in the property without written permission. q] Personal Injury and Loss -- The Owner/s, Agents or Sub-Contractors take no responsibility for any injury to tenant/s and anyone the tenant/s have at the property during their tenancy. Personal injury and loss is solely the tenant/s responsibility. Personal property, damages, theft and loss of the tenant’s property and anyone else’s property within the premises are the tenant’s responsibility during their stay.